Choose a college that feels like home. Wells College's holistical application review process ensures that each and every one of our applicants is evaluated based on their unique individuality, not just their cumulative GPAs. As a homeschooled student, you will automatically be considered for one of our five merit-based scholarships, as well as more than 125 endowed awards. You can earn up to $115,000 throughout your college career! Longstanding traditions and a tight-knit community make the Wells education extra special. Participate in one (or a few!) of almost 50 student clubs and organizations on campus, or create one of your own. Study abroad for a semester and enhance your curriculum with unforgettable experiences (your financial aid travels with you!). Every day at Wells is a new adventure! 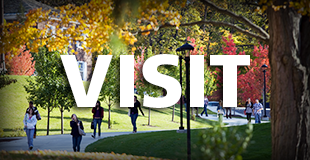 Complete this form to receive personalized information about Wells College. You're not alone in the college search process. Ask us questions and let us know what's on your mind. The Enrollment Team is always available to help.